Your business needs to be upgraded from time to time so that you can offer to your clients the best possible services. Your barcode ribbon supplier should be able to fulfil your every needs and requirements. Take a look at the special features of each wax barcode ribbon so that you can choose the one best suited to your needs. You can own the very best printer so that you can have the best quality in your services and products. 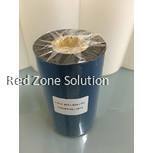 Along with a high-quality thermal transfer ribbon, your business will experience a sudden and immediate boost. The measurements are the first thing you should notice before you buy your new barcode printer ink. 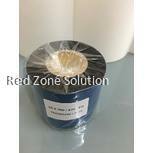 The S20 Wax comes in 110x100 meters, and it is ideal for any type of printer. 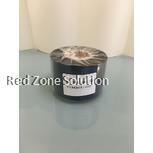 This barcode ribbon supplier has an ink type with enhanced wax for higher quality. 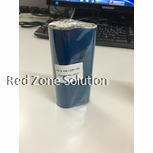 It has also a base film material and a thickness of 4.5. The total ribbon thickness is less than 8 and that makes it the ideal wax barcode ribbon. The colour is black, and it costs only 12,72RM. The melting point is at 65. Another amazing choice when it comes to barcode ribbon supplier is, of course, this ribbon with measurements 55x100 meters. This is specially designed so that it can operate at the lowest possible energy and the highest possible ink features. 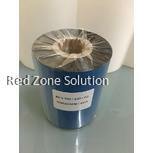 It will offer you excellent printing results and a wide range of different labels. 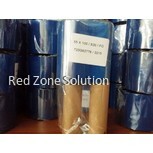 Pay only 10.07RM and manage to change all of the printing conditions of your wax barcode ribbon. If you are searching for a longer wax barcode ribbon, then this is the perfect solution for you. 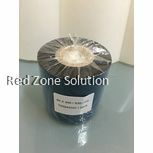 The measurements of this ribbon are 110x300 meters, and it is ideal for any professional need you may have. This wax barcode ribbon costs 37.10RM. Whatever barcode ribbon supplier there is no doubt you will be absolutely satisfied by all of the above suggestions. No matter what wax barcode ribbon you will definitely enjoy the low rates and the free shipping costs. No matter where in Malaysia you are located, purchase your favourite ribbons today, and you will be able to get them for free. If you on any other country feel free to take, a look at the specific shipping costs for each country and region. Each and every barcode ribbon supplier that you will find to this online store has a high compatibility for your own convenience. These ribbons are compatible with TSC, Postek, Argox, Zebra, Citizen, and Datamax and of course Toshiba. Take a look at their specific features and measurements and find the ideal barcode printer ink and ribbon for your specific needs and preferences. Offer to your customers the chance to receive the highest quality possible at every step of your cooperation.